Schumacher Cargo has been shipping cars to Israel from the U.S. for over 35 years and our experience is what sets up apart from our competitors. 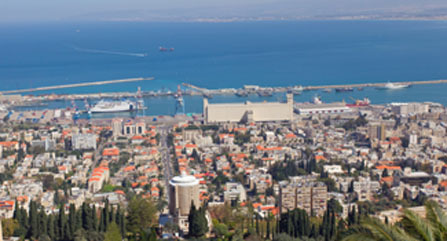 Although we cover the entire export procedure there will be destination fees upon importing the vehicle after it has arrived in Haifa, Israel. The cost of shipping a car to Israel is dependent on multiple factors and the quickest way to get a car shipping estimate from the U.S. is to speak with an export specialist at (562) 408-6677. For that you’ll need to have some basic information at hand including make/model, year, current location of the vehicle, etc. You can also complete our quote form and within 24 hours you’ll receive a detailed quotation and a competitive rate. Once a container is filled, your car will be on the water for approximately 4 to 6 weeks.